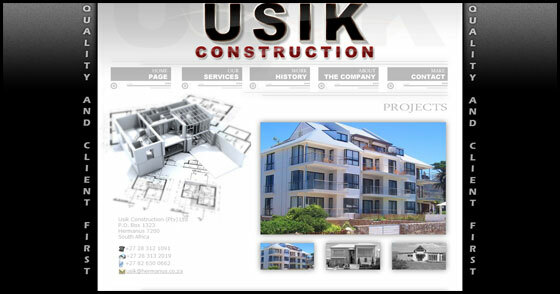 USIK Construction (Pty)Ltd. founded in 1995 are a company that is at the forefront of construction in the Hermanus area having worked on constructions such as the Marine Apartments. USIK Construction strives to make sure, that all the facets of business are implemented, to ensure that their clients are kept first, and a good quality product is delivered, at a fair price. 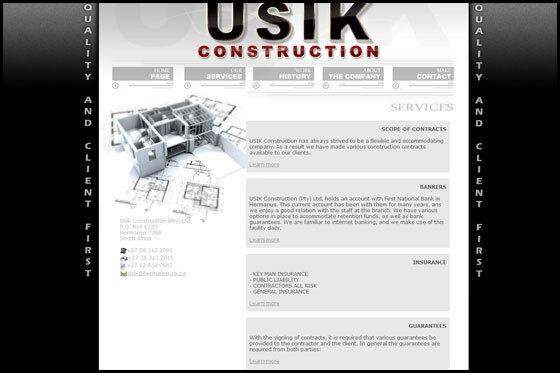 Studio137 designed the website www.usikconstruction.com to fit the feel of an online portfolio. The angular and squared style of the images and buttons on the website as well as the squared sides with the writing done over a background layer of concrete helps to enforce a carefully designed and structured feel. The images on the home page are displayed using flash and show off some of the great construction works of the company. 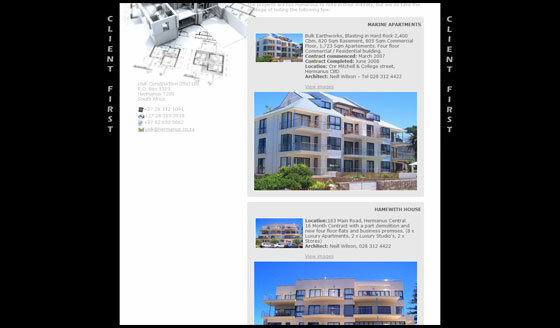 The buttons are designed to look and work like folders/dividers which fit the portfolio feel of the USIK Construction website. The website is easy to use and contains drop down links to provide more of the information you want to know about the company. The contact information is well placed and stands out easily for anyone who wants to know more.